Everyone should have the opportunity to live in a safe, healthy, affordable home. As rents go up though, that is becoming out of reach for more and more Washington residents. It doesn’t have to be this way. We know what works and we’re building the public and political will to implement solutions. In these uncertain times, our work is harder than ever and more important than ever. And we’re more committed than ever before. The power of our advocacy comes from thousands of individuals and organizations all across the state. Organizational members include housing providers, local governments, real estate companies, banks and financial institutions, social services providers, and more, and help endure that we have the expertise to craft solutions. 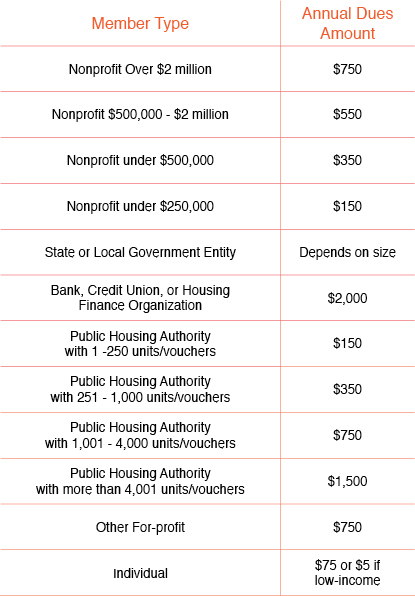 Membership in the Housing Alliance is based on an organization’s size and capacity to contribute and dues levels are recommended amounts. Organizations that administer Consolidated Homelessness Grant funds are asked to join as County Homelessness members. Contact Itzchel Bazan at itzchelb@wliha.org for more information. By joining the Housing Alliance, you become part of the only statewide organization that brings together the expertise of housing and homelessness organizations with the power of grassroots activists to get things done. - Activate your membership online by clicking here. - Did you know you can make your LIHTC nonprofit contribution to the Housing Alliance? Learn more here.